Fueled by an incendiary performance by Elisabeth Moss, HER SMELL follows Becky Something (Moss) is a ’90s punk rock superstar who once filled arenas with her grungy all-female trio Something She. Now she plays smaller venues while grappling with motherhood, exhausted band mates, nervous record company executives, and a new generation of rising talent eager to usurp her stardom. When Becky’s chaos and excesses derail a recording session and national tour, she finds herself shunned, isolated and alone. Forced to get sober, temper her demons, and reckon with the past, she retreats from the spotlight and tries to recapture the creative inspiration that led her band to success. Anchored by a towering, unflinching performance from Golden Globe and Emmy winner Moss, and supported by a stellar ensemble cast, HER SMELL examines the grit, grace and gravitas of an unforgettable fictional rock star crashing down to earth into the harsh realities of mid-life. 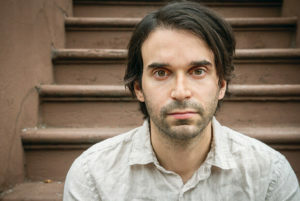 With his deeply humane sixth feature, writer- director Alex Ross Perry (Listen Up Philip, Golden Exits) pumps up the volume and shines a light on the terrifying moment when superstardom wanes — and quiet becomes the new loud. Alex Ross Perry joins us for a lively conversation on the film’s fascinating shooting schedule, collaborating with cinematographer Sean Price Williams and working with a remarkable cast of actors. This entry was posted in Academy Award nominee, comedy, drama, dramedy, Film Festival, Golden Globe, Indie, Music, Musical, Netflix, Oscar nominated by admin. Bookmark the permalink.